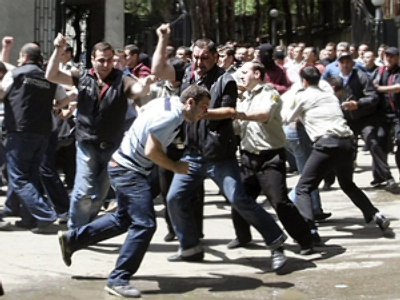 In Georgia, a group of some 50 men is said to have raided the opposition camp and press centre in front of the Parliament building in the capital Tbilisi. According to witnesses, the masked mob, armed with batons, tore down banners and broke computers. Following last night’s events, the opposition has reportedly accused the leadership of a provocation. They said on Sunday they will continue the peaceful protest, despite their previous decision to hold a break for a religious holiday. The so-called ‘meeting of silence’ is due to start at 3 PM local time (11 AM GMT). 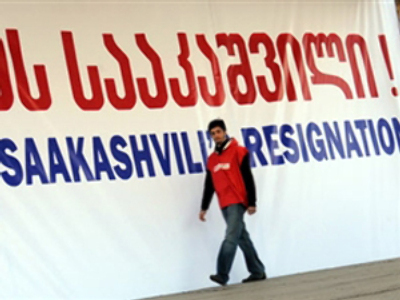 Georgia's opposition has been staging protests since Thursday, calling for the resignation of President Mikhail Saakashvili. The demonstrators vow to continue until their demands are met. On Saturday, tens of thousands of people turned out onto the streets of Tbilisi to voice their concern over the way authorities are running the country. However, the opposition announced a one-day break from the protests for the sake of the Orthodox holiday this coming Sunday. They intend to continue their rally afterwards. “On Monday a new wave of protests will begin. 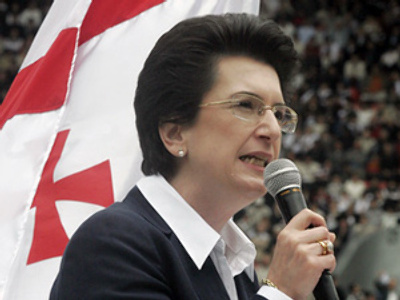 No one should even try to intimidate us – they won’t succeed anyway,” said Georgia’s former Foreign Minister Salome Zurabishvili, according to RIA Novosti. 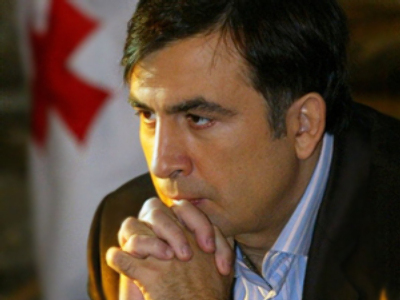 President Saakashvili claims the demonstrators are being funded by Russian oligarchs. In an interview with Newsweek magazine, he said he possesses documents that support this claim, but has not yet made them public. The opposition deny the allegations, saying they are simply an attempt to compromise them. It began Friday evening, as people moved from the Parliament building to certain points around the city. They came to the state television centre, to protest and demand that government-run television film these rallies, so that people across the country could hear what they are saying about their president, and why they are demanding his resignation. The opposition is also trying to block as much traffic as possible, promising that if President Saakashvili continues to not give in to their demands, they will go even further and bring more people into the city. They would block more roads, and try to disrupt the city as much as possible. The leaders of the protesters have also made an announcement that they are going to disrupt the President’s schedule. Some protesters on Friday moved to outside of the presidential residence, throwing cabbages and carrots, to demonstrate public discontent for the job that the president is doing. Many of the present-day opposition leaders are former close allies of the Georgian president, including the ex-speaker of the Georgian parliament, Nino Burdzhanadze, and the former ambassador to the UN, Irakly Alasania. 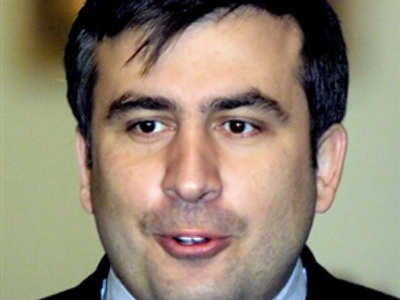 Notably, Alasania is seen as the favourite to perhaps become the next president of Georgia if Mikhail Saakashvili does give in. Every day of the protests, they read out a list of alleged crimes that they believe he has committed: from corruption to clamping down on freedom of the press. The basic claim is that Georgia is not a democracy, that his promises made during the Rose Revolution back in 2003 have not come true. On these grounds, they believe Saakashvili should acknowledge this, and step down. The major turning point for many of the opposition leaders such as Alasania and Burdzhanadze appears to have been the conflict over South Ossetia last August. They claim that Georgia has lost 20% of its territory, and that the military decision was irresponsible. When the protests started, one of the reasons the opposition claimed they needed to take to the streets was that they did not want to have a dialogue. They did not see it as an option. Now, Irakly Alasania has made an announcement that they are ready to speak with the president, to have an open dialogue about the will of the people. “Certainly, we are ready to listen and see what Saakashvili can offer to the country as the way out of the crisis without his resignation. Still, we are sure that every day Saakashvili stays in power causes new problems to Georgia,” said Alasania, quoted by ITAR TASS. “The opposition leaders will only meet Saakashvili in the presence of prominent public figures and in front of the TV cameras,” he added. 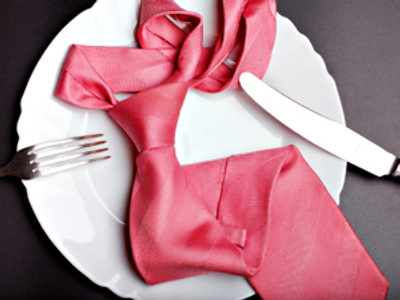 On Friday, Mikhail Saakashvili said he was going to finish his term, which expires in 2013. At the moment, it is not yet clear whether he may change his mind or try to come to some compromise with the opposition.